Hi there! Remember me? Has it really been almost a month since my last post? So what have I been up to lately? I wish I could tell you I’ve been kicking back on a tropical beach, hiking in the mountains, or teaching children how to read in a third world country. But unfortunately, my absence has been due to my demanding full time job and my equally demanding school schedule. Most days consist of me waking up between 5-7 a.m., working from 8-5 p.m., and then school from 6-9 or 10 p.m. Now don’t get me wrong, I love both work and school for completely different reasons, but hey…a girl has got get some sleep every once in awhile! Needless to say, I’ve struggled over the past month to find balance again. When I find myself overwhelmed, stressed and ready to fall apart at the seams, I have to think about how I got to that point. Have I procrastinated again, leaving another project to the last minute? Probably. So I am finding more ways to to better prepare myself on a day-to-day basis. Scheduling studying times, getting up early to fit in a Crossfit work out (for my sanity), and starting on school projects ahead of time (read: not the day before) are just few things I’ve been working on. But hands down, the most important part of maintaining this busy schedule is weekly food preparation. Protein: Slow cooker chicken thighs, ground beef, fish, eggs. Veggies: Spinach, cucumber, cherry tomatoes, bell pepper, onions, zucchini, sweet potato. Fruit: Apples, avocado, and occasionally berries when in season. Other: I try to keep almonds and/or hazelnuts on hand for emergency snacks or for making my own nut butters, coconut milk, tomato sauce, coconut sugar, and coffee…definitely coffee. Breakfast, lunch and dinner during the week has to be quick and healthy food. For breakfast, which I eat at work, I usually have (2) hard boiled eggs, half an avocado, and a vegetable. Lunch is usually a spinach salad that I can toss together quickly, and consists of cherry tomatoes, cucumber, bell pepper and topped with a chicken thigh or ground beef patty. On school nights, a dinner of chicken and prepared veggies is warmed up and eaten before class. If I don’t have school, I have a little more time to make a more diverse meal before jumping into homework. I fit in a snack of apples, avocado, or nuts when I need to. Sounds like fun, right? Although consistency in my meals makes things pretty easy, eating the same thing every week can get boring. Especially when it comes to breakfast, which happens to be my favorite meal. I started playing around with my ‘typical’ grocery items to make something different. 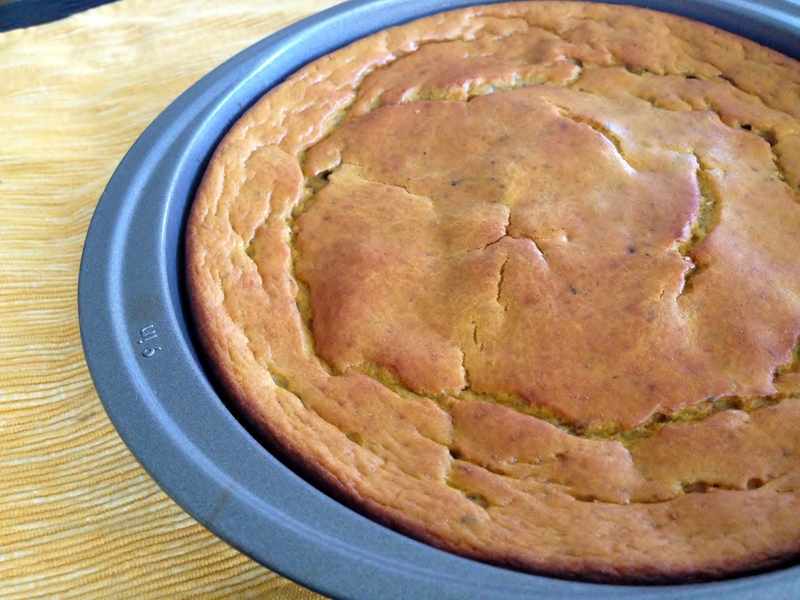 I came up with this savory sweet potato frittata, that I can slice up and eat on the go. Literally. I usually eat a slice as I’m driving to my AM Crossfit class. No mess, no fuss! 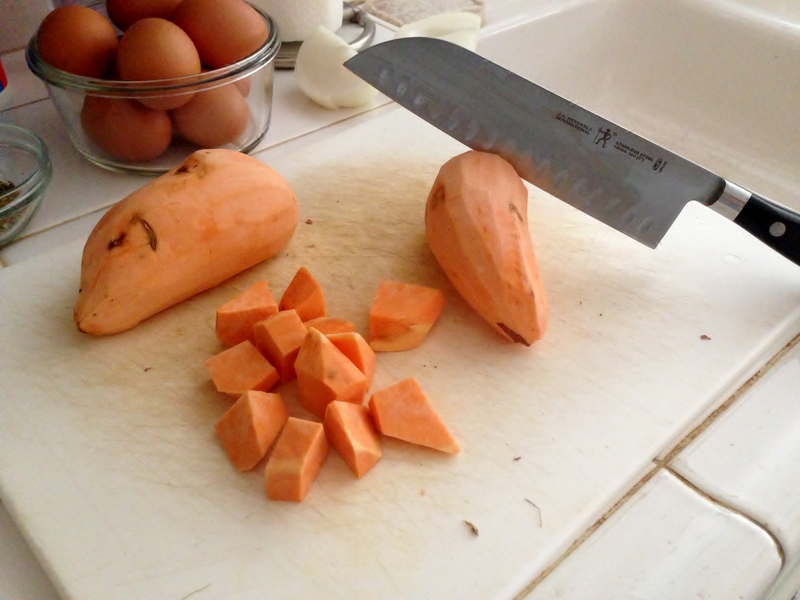 Let the oven preheat to 375° (F) while you prepare the sweet potatoes. Peel and cut the potatoes into small pieces and boil or steam until tender. 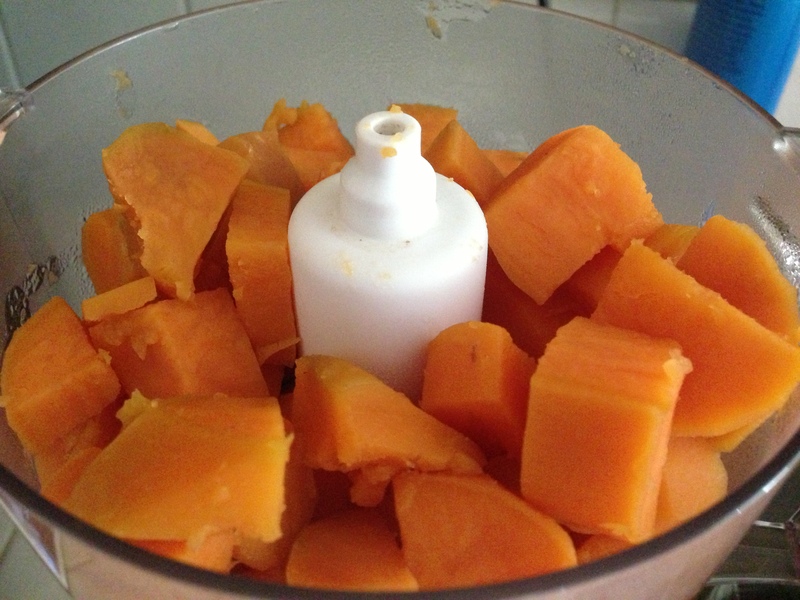 Add the sweet potato to the food processor and blend until it’s reached a smooth consistency. 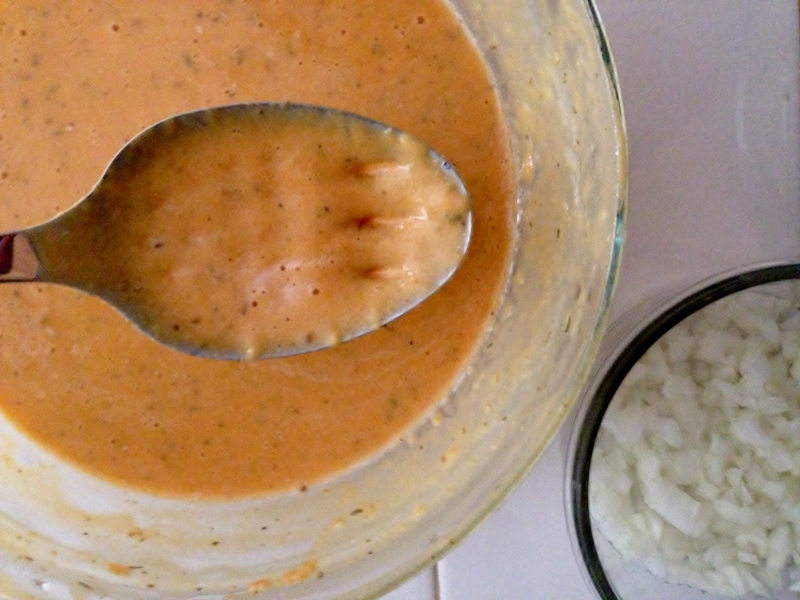 If you don’t have a food processor handy, you can use a potato masher and put some elbow grease into it until it’s nice and mashed. 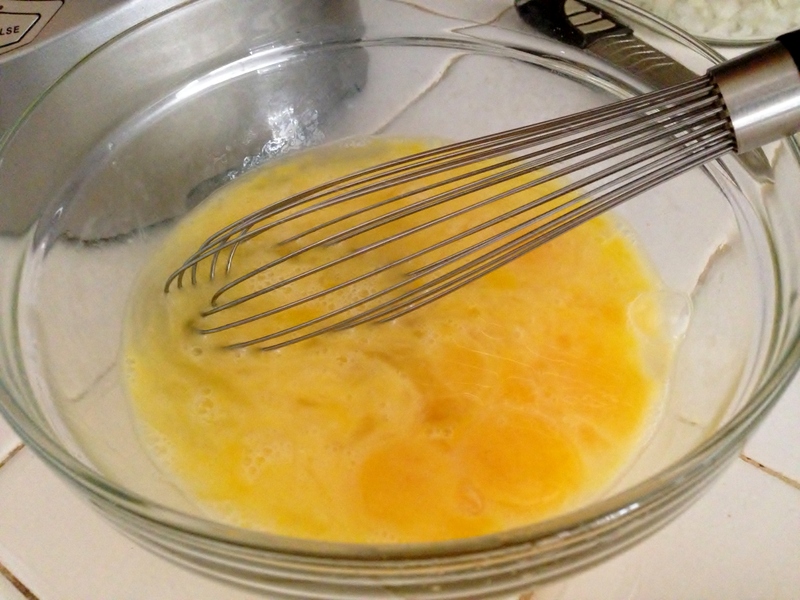 Next, whisk the eggs, herbs, and salt together in a medium-sized mixing bowl. 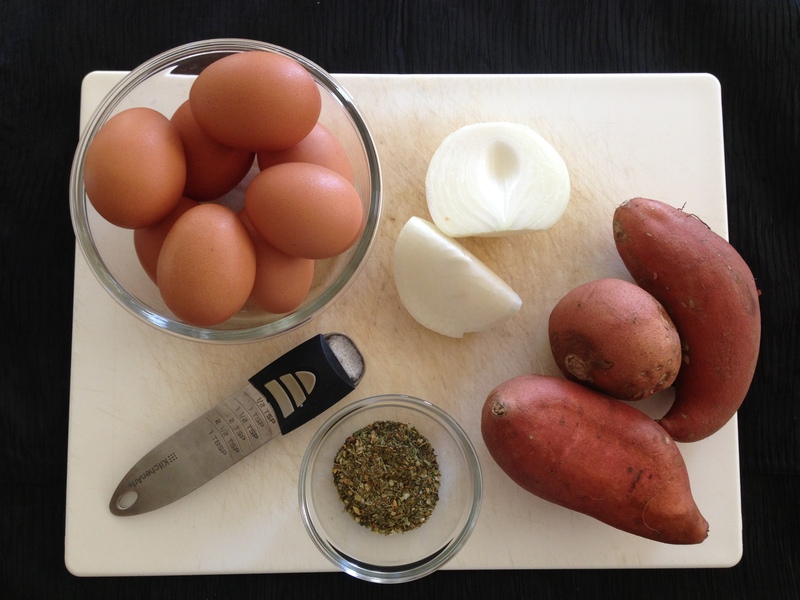 Add the egg mixture to the sweet potatoes in the processor, and blend until everything is well incorporated. If you’re doing it the manual way, just mix everything together by hand. 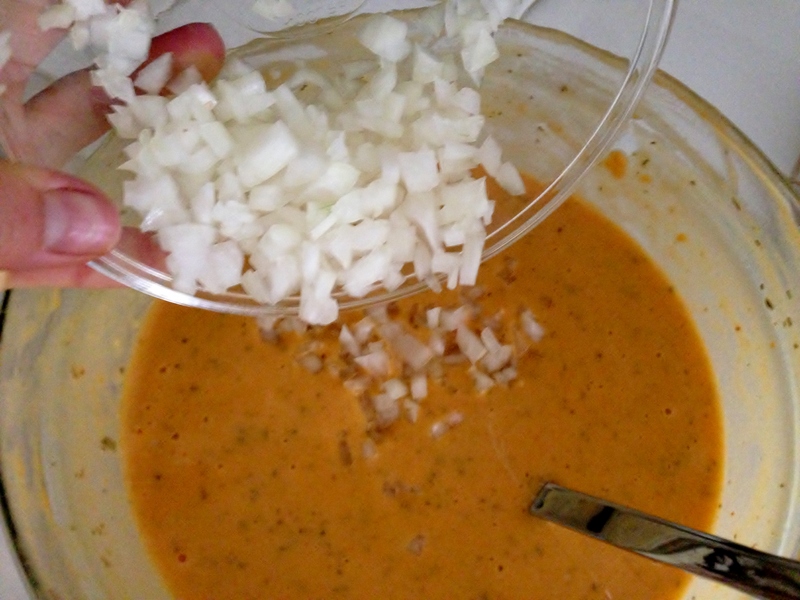 Pour the egg batter back into the mixing bowl and mix in the diced onions. 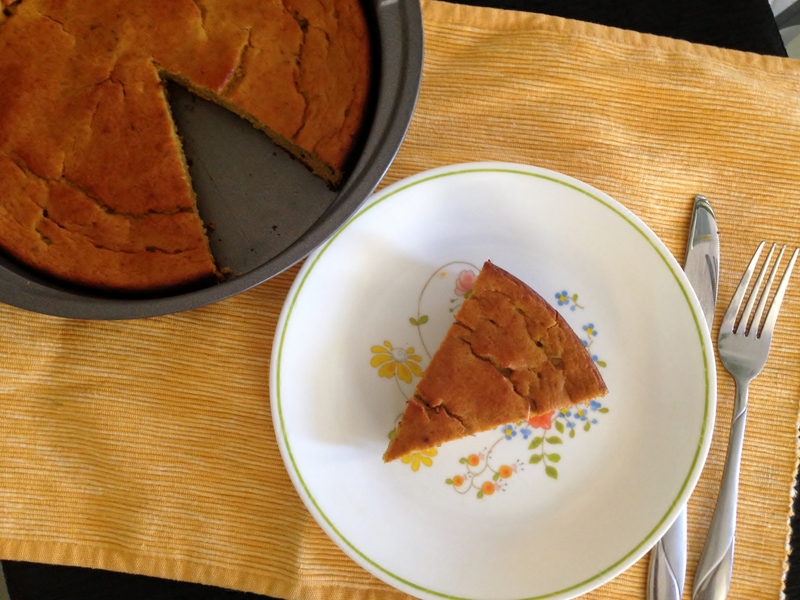 Set the egg batter aside while you grease the cake pan with coconut oil. 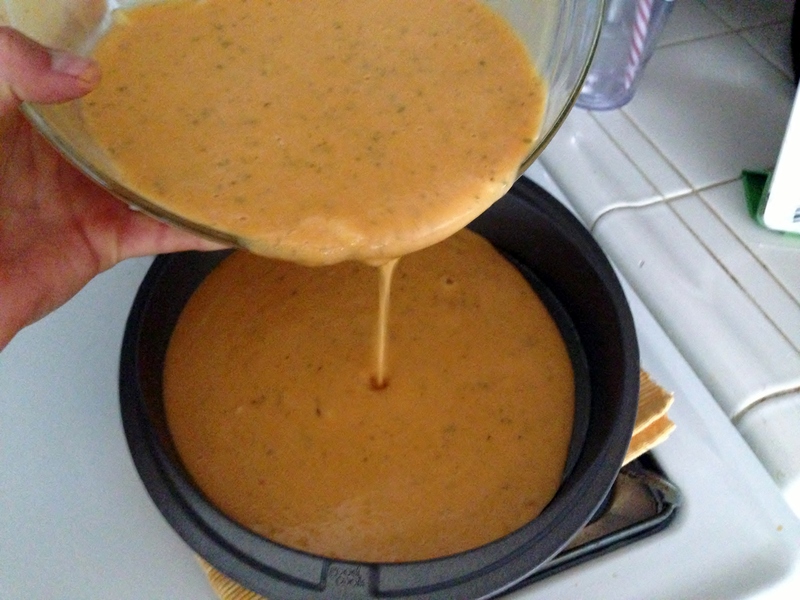 Lastly, pour the egg batter in the cake pan and bake for approximately 30 minutes. 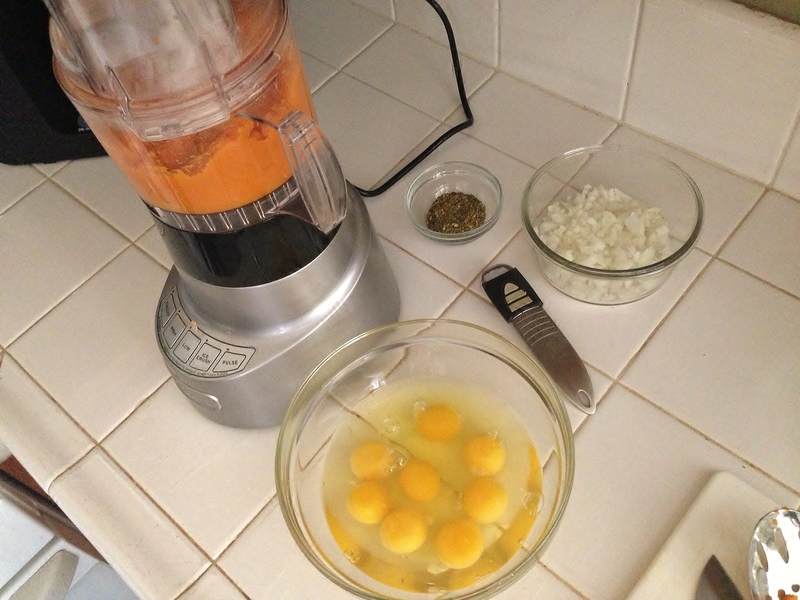 The frittata will rise like a cake and brown on the outside. I always use the toothpick method to test for doneness of baked goods. The toothpick should come out clean when inserted in the middle of the frittata. When the frittata is done, let it cool for a few moments. The top of the frittata will collapse a little after it’s out of the oven, and that is fine. This can be sliced into 8 servings, served best when warm. 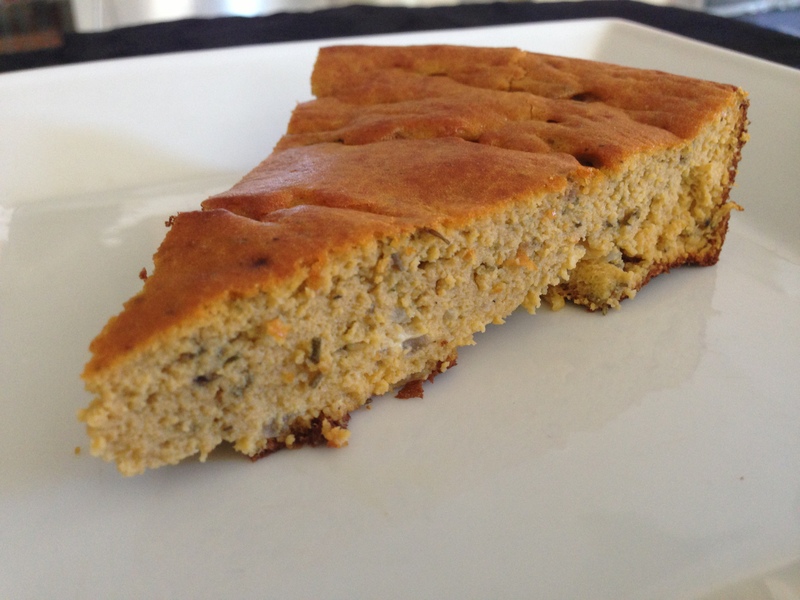 I’ve enjoyed a slice for a pre-workout boost, as well as a part of a post-workout recovery meal. You just can’t go wrong with it! Not going to lie, I’ve been eating this every day for the past two weeks! Now on to some quick, exciting news. I am participating in the 2013 Tahoe Fall Tough Mudder event on 10/28, with an awesome group of women from Crossfit 580! It’s a 12-mile obstacle course running through mud, climbing over walls, getting shocked by electrical wires, plunging into ice cold water, and more. It sounds crazy, but I’m so excited! I’ll have a full report when I get back.